Halloween is a special and fun holiday. It is widely celebrated during the fall season, on the 31st of October, giving a lot of positive emotions to young kids, teens and students. The distinctive traditions come from Celtic tribes that lived within the contemporary Ireland and Northern France territories. The holiday is dedicated to dead relatives and saints, remembering of them and rendering honors. Nowadays, Halloween is incredibly popular worldwide, especially in the USA, in Great Britain and Canada. Celebrations last for several days and eves, including trick-or-treating, pranks, fancy-dress parties, fortunetelling and traditional stories. According to Statistic Brain, annual Halloween spendings of Americans are from $7 to $8 billion and they increased dramatically during the recent years. Therefore, all businesses, especially small and medium-size ones use the unique occasion for the holiday promotions and efficient marketing campaigns. stylish pumpkins for home décor. However, not only the retailers that sell these popular items use the occasion to engage customers, please their regular buyers, and, therefore, increase their profits and revenues. Restaurants and bars include Halloween food and drink specials to the holiday menus, decorate the premises, create mysterious atmosphere and play scary organ music. Announcers and other employees wearing costumes make guests enjoy the holiday. Real estate agencies offer to check the houses and apartments for ghosts and other Halloween threats. Tour operators elaborate travel itineraries to the weirdest places of the world. Meanwhile, as online presence is a must nowadays, all enterprises, businesses and entrepreneurs can attract their valued customers, using Internet network. target your regular, last-year customers, sending them newsletters. Large corporations and small business add some pretty pieces of Halloween-related games, puzzles, quests and festive design to their sites, attracting clients and encouraging them to visit the company or product pages. Halloween is obviously not a good reason to send greeting cards to unknown people. However, use this unique opportunity to remind them about their previous shopping experience, triggering positive emotions. October is a great time for a creative e-mail marketing campaign. Business activity is usually high in autumn; fall is congenial for company and carrier growth, new orders and ideas. Inform your valued customers about the special events, parties, Halloween sales or new, specialty items. Beautiful, festive and creative messages entertain your recipients, making them remember about you, your company and services. The holiday templates can be used for the letter header; some bright elements can be added to the signature. 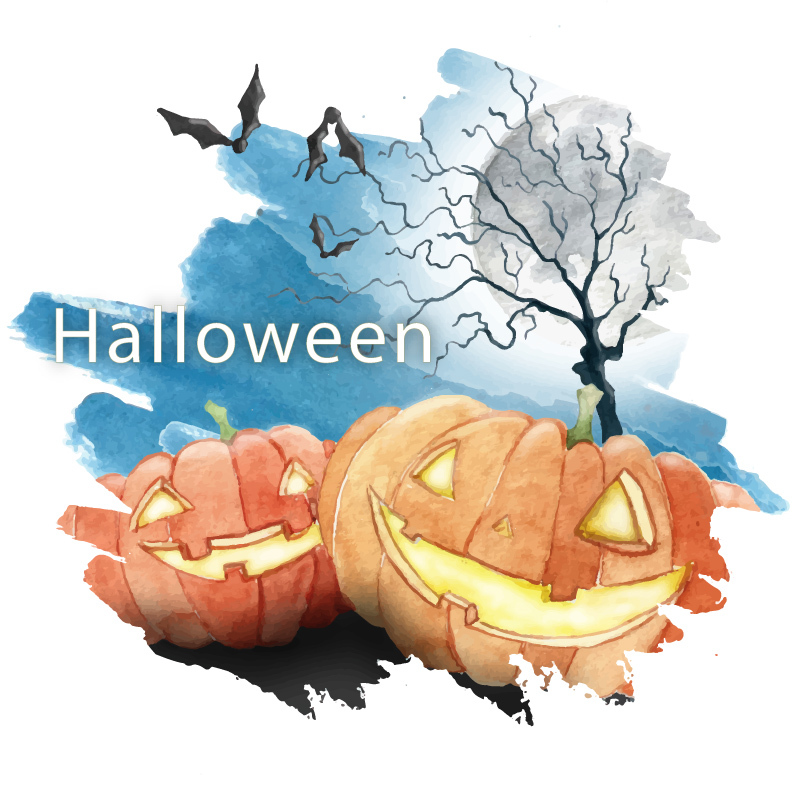 Halloween themes usually include seasonal images, such as yellow leaves, pumpkins, apples or acorns, as well as mystical backgrounds: with ghosts, zombies and terrific castles. These templates are professionally designed, responsive and compatible with all basic browsers and systems. Additionally, they are easily customizable, so select well-suited ones for your business and change them according to your needs and relevant purposes. You can also make a photo of your team in Halloween costumes and amuse your recipients. However, don’t forget to make your email messages unpressing, informative, elegant and inventive. Add some creative ideas, jokes and useful information. Start preparations early, some months before the holiday, prioritize your goals and you get the best possible marketing results. Previous PostPrevious How Does a Top Digital Marketing Agency Build Email Campaign? Next PostNext Why Create a Banner for Email Signatures?